Is there anything more idyllic than sailing on a luxury yacht-style cruise ship, with just 55 other couples, calling at white sand beaches, jumping off the ship’s marina into a clear blue sea and sipping from a flute at your own Champagne and Caviar Splash party in the waves? SeaDream Yacht Club’s mega yacht SeaDream I calls at the unspoilt island of St Barts, the “jewel of the Leeward Islands”, where you can stroll through the protected yacht harbour and pick out your “dream” vessel. For arromantic adventure go snorkelling at the Farajardo Cays or explore the sea caves on Virgin Gorda (British Virgin Islands). On board, pop in to the rejuvenating Thai Spa before enjoying five-star al fresco dining on deck in the evening. 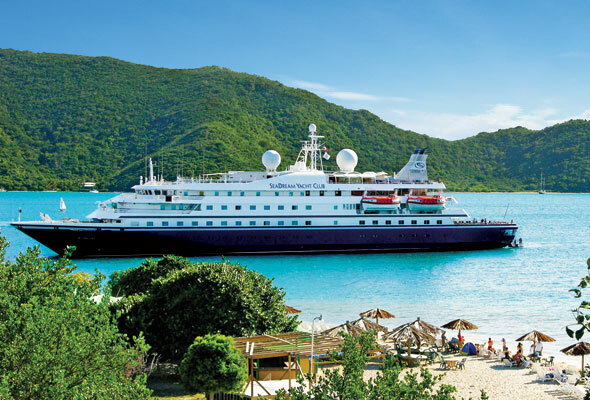 A seven-night Caribbean cruise with SeaDream Yacht Club departs from San Juan on 19 April 2014 calling at Jost van Dyke, Virgin Gorda, Gustavia (St Barts), Sandy Ground (Anguilla), Cruz Bay (St John), Fajardo (Puerto Rico). Prices start at £3,375pp. 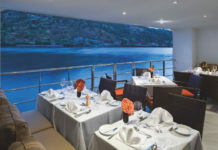 Go to seadream.com.